The Kind Diet challenges you to explore the difference of a plant-based diet and learn how eliminating foods like animal meat, dairy, refined sugar, and overprocessed products can have amazing benefits for your health, appearance, and the environment. 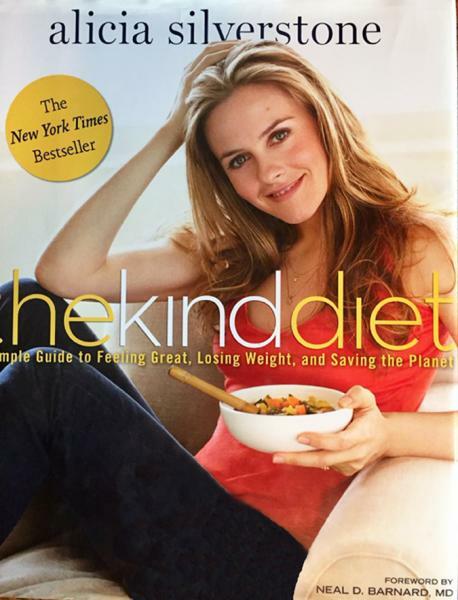 Alicia Silverstone made the New York Times Bestseller list with this one, featuring delicious recipes, beautiful photography, and a ton of tips aimed toward living the ultimate kind life. Alicia's fun and vibrant personality comes alive within the pages of this delicious book.